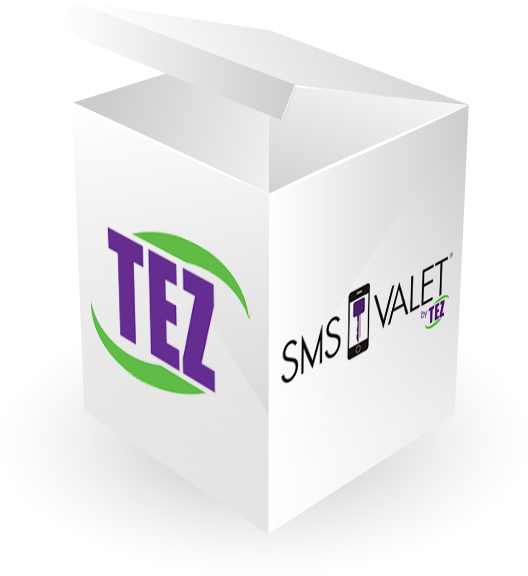 As a client, you can receive a full SMS Valet Kit. Each kit includes the following equipment to make your transition to ticketless as easy as possible. While you can use Wi-Fi, we highly recommend using 3G since valet employees tend to run in and out of Wi-Fi range. If someone requests a car while they are outside Wi-Fi, they won’t receive it on the tablet until they come back in range. These re-usable hang tags and key tags are used just like your paper tickets now. The key tag attaches to the key and the hang tag goes in the mirror. With all valet operations, you must have a tag on the keys and in the car for easy identification. With the SMS Valet® technology, we incorporate Re-usable Key and Hang Tags to eliminate paper tickets. The number on the tag is used to check-in a customer on the app and connect the key and car to the customer. By using a simple grease pencil, valet employees can write car location, make/model, license plate and other descriptions on the Key Tag. The Re-usable Key and Hang Tags are connected together and are both labeled with matching numbers. The tags are purchased in sets of 100 and can be customized to your valet operations needs. They can be used together (hand and key tag combination) or separately (key tags only). Since our app allows you to offer ticketless valet, you can use the same ticket again during the same shift to check in other customers. All tag numbers are tracked with the SMS Valet app and helps employees easily identify the keys with the customer. These are used to write any info on the key tag such as Parked Location or license plate numbers. The main SMS Valet app runs on the Android OS. Unlike Apple’s iOS, Android has enhanced technology that can quickly read Near Field Communication (NFC) tags and stickers rather than costly barcode readers. TEZ offers the convenience of leasing Android devices, or you can supply your own. TEZ devices are 5”, 7” or 9” and all come with software license, FREE data plan and LIFETIME warranty (yes, lifetime!). You do the parking and let us handle the technology.